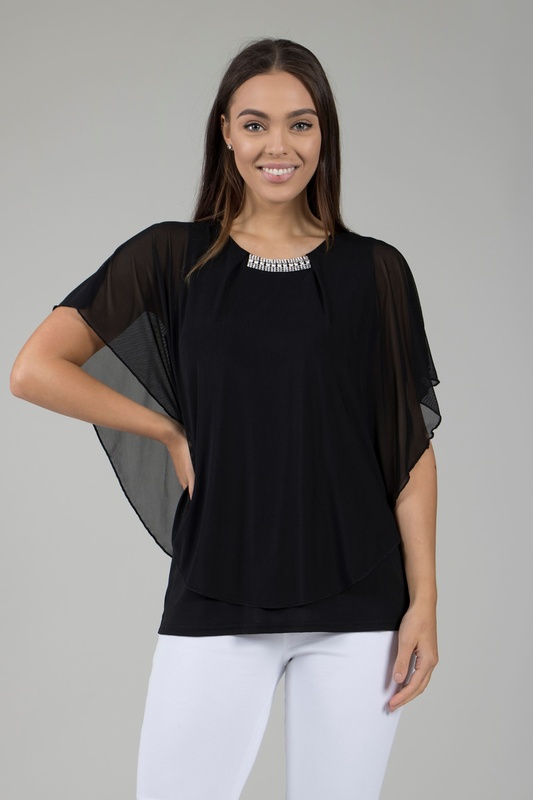 A beautifully cut blouse that drapes perfectly to flatter the figure. 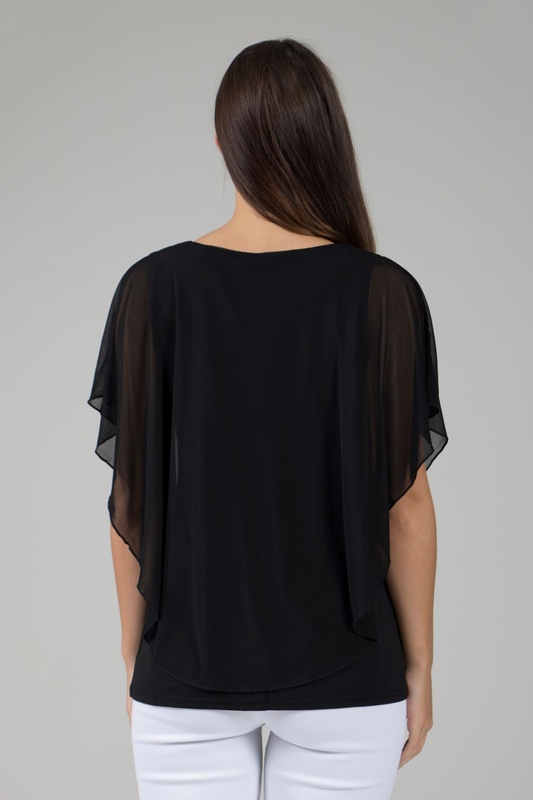 The shorter length sleeves flare for easy wearing, with a embellishment neckline enhancing the appearance. Wear simply with white trousers in your choice of style for a stylish look.